Commissioned by Pacific Pile & Marine, LEEP (Leading Edge Equipment Partners) is designed to allow Pacific Pile & Marine to monetize the value of their equipment when not in use. 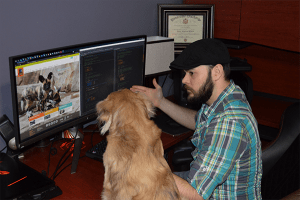 This project included a custom theme as well as custom functionality. 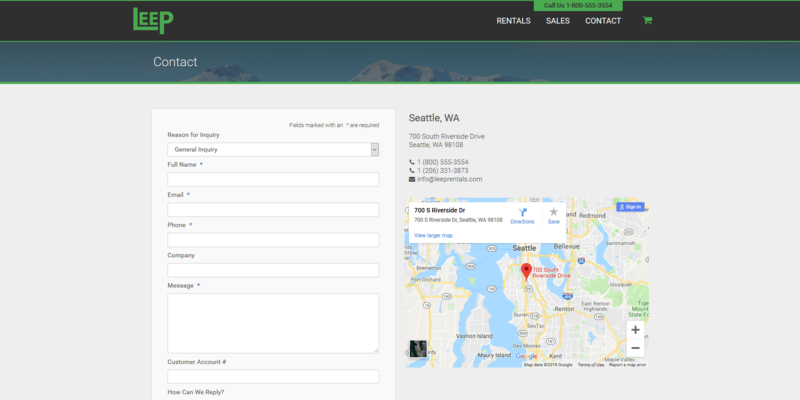 Rental Requests are handled via WooCommerce and Request-A-Quote plugins. This project is an on-going project. The client wanted to enable visitors to quickly navigate to the proper equipment categories and a Quick Filter navigation element was created to go into the Hero section of the website. Returning users can get where they need to go quickly and efficiently. Knowing about the equipment you may be renting is vital to ensuring you are renting the right equipment. 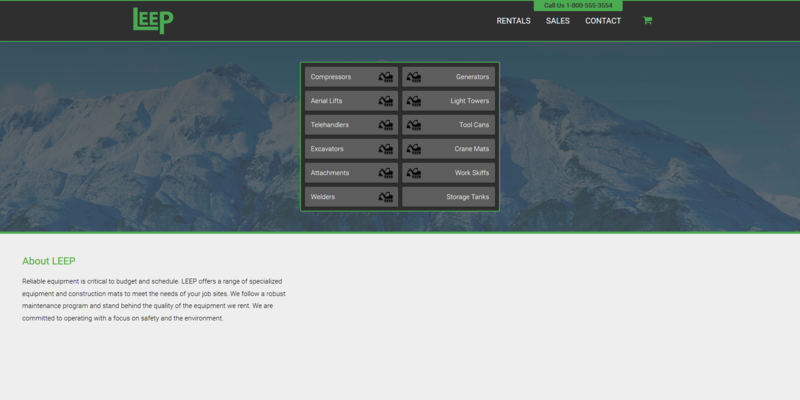 The content for equipment information is laid out in easily digestible sections. 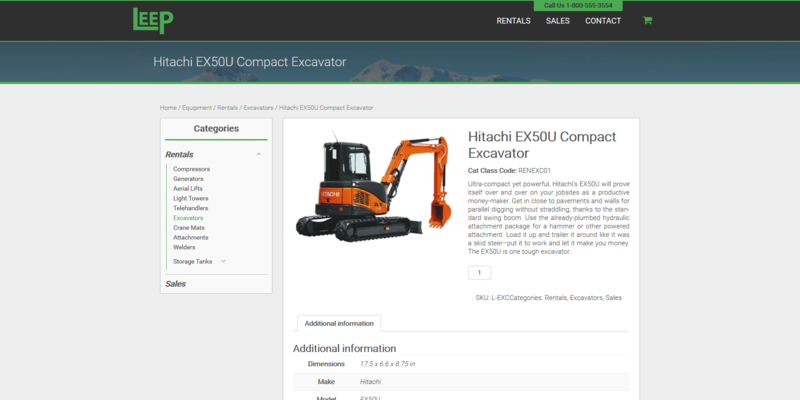 From this page, users can add the equipment to their Quote Request cart. Detailed information is provided on the Equipment Overview page as well as a link to the Product’s Brochure. Rental customers will be able to compare equipment to ensure the equipment is right for their needs. Customers are not required to go through the website for rentals and can reach out directly to the company. The Contact form will route form submissions to the right departments. This is a prime example of how companies can leverage technology to increase revenue. Many construction businesses buy equipment for projects and the equipment can sit in storage for months on end. Pacific Pile & Marine took the initiative and created a side business to rent out their equipment to monetize their unused equipment. As they find a need for the equipment, they can remove it from the rental site; as well as add equipment that doesn’t have a current need. We are always looking for ways that we can help our clients maximize their business strategies. Contact us today to see what we can do for you! A website can be more than just a way to provide information to your customers, it can also be a vital business tool. 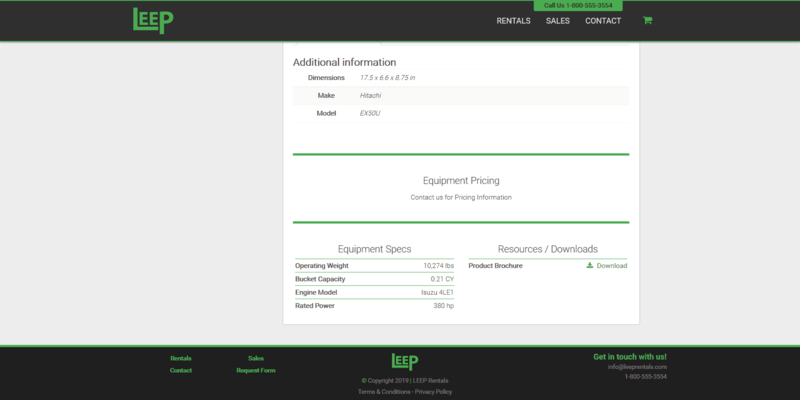 LEEP Rentals isn’t just a consumer facing website. The company plans on using the system to keep track of their equipment, what projects the equipment is used at, and how often their equipment is utilized. This can help the business determine what equipment is worth keeping and what equipment can be sold off. We know how powerful a website can be, contact us today to see what a website should do for your business!